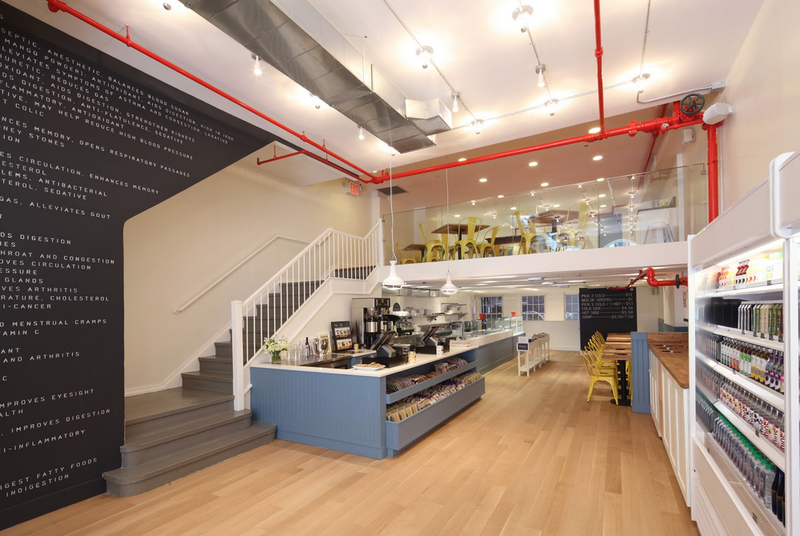 Our clients sought a "Malibu meets Brooklyn" vibe for their healthy prepared-foods shop; they talked about it feeling cheerful and casual, as well as exuding a mixture of charm and modernity. 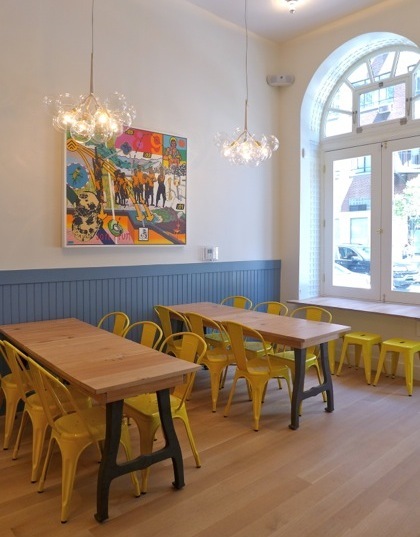 The chosen space had very high ceilings and a mezzanine level for additional seating. 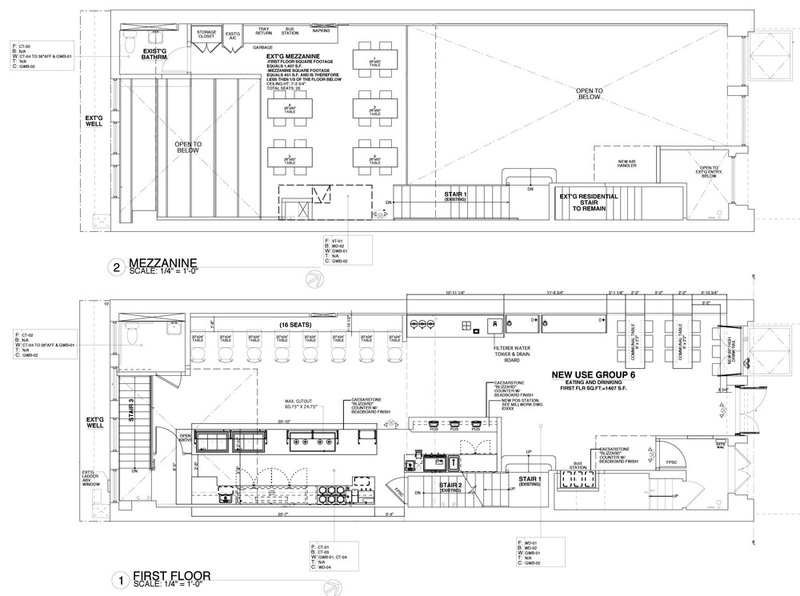 Richard H. Lewis Architects worked with Revamp on the layout, modifying the size of the mezzanine to meet our clients' needs. 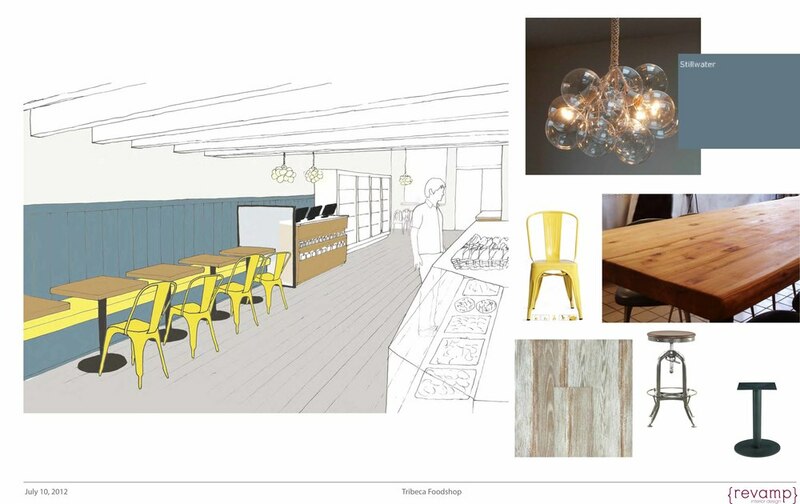 For the initial presentation, Revamp proposed materials, furnishings, paint colors, and lighting; many of these selections made the final cut. Two early design ideas were graphic wallcovering on the east wall and a handcrafted rope ceiling sculpture bridging the different ceiling heights up front. As the project progressed, specific brands of fixtures, finishes, furniture, and hardware were selected, designs were finalized, and the contractor started building. Decor is like the accessories to an outfit: it not only adds the finishing touches, but can take design to a whole new level!